SINCE 1974 WE'VE OFFERED TOP QUALITY VEHICLES WITH UNMATCHED CUSTOMER SERVICE. 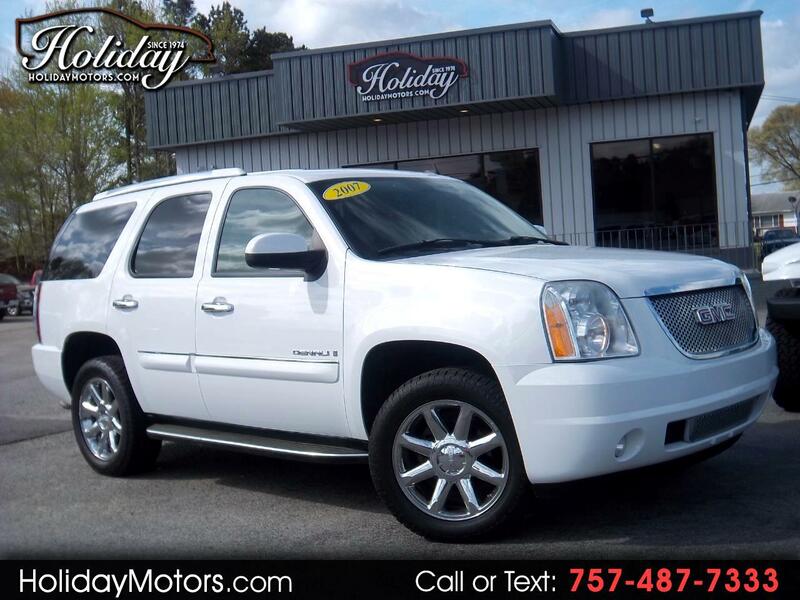 THIS DENALI IS A LOCAL TRADE IN GREAT CONDITION INSIDE AND OUT. RUNS AND DRIVES 100%, NEW BRAKES, GREAT SET OF NITTO TIRES, NEW PAINT, CLEAN INTERIOR, AND PRICED TO MOVE. FULLY LOADED WITH HEATED LEATHER, NAVIGATION, POWER SUNROOF, REMOTE START, AND SO MUCH MORE. GREAT FINANCING AVAILABLE OR BRING YOUR OWN, WARRANTY INCLUDED, BUYBACK GUARANTEE, AND ALWAYS TOP DOLLAR FOR YOUR TRADE. We understand that searching for a vehicle and going through the process can be stressful. That's why for over 40 years we have offered a relaxed atmosphere to allow you the opportunity to make the absolute best decision. The horror stories we've heard through the years of other dealers' immoral ways has driven us even more to prove it doesn't have to be that way. It's really just 3 easy steps. We begin by earning your trust and respect. If you don't like us then most likely you're not going feel good about our product. Next we provide a knowledgeable, stress-free demonstration. Your vehicle purchase is your choice. We're just here to provide the service you deserve. And last but not least, our experienced staff will take the time to answer any questions and advise you on the best financing options for you. If it's our lender or yours we want to make sure you get the best rates and terms for you. It is not greed that drives us like so many others. It's the pride we feel from earning your business not the first time but when you realize we have become your go to store for yours, your family, friends, and neighbors for generations to come! Let the local "mom & pop" business show you how it should be done. All advertized prices do not include $299 Processing Fee, State Tax, or DMV.